Labor announces long-awaited policy just in time for the election. 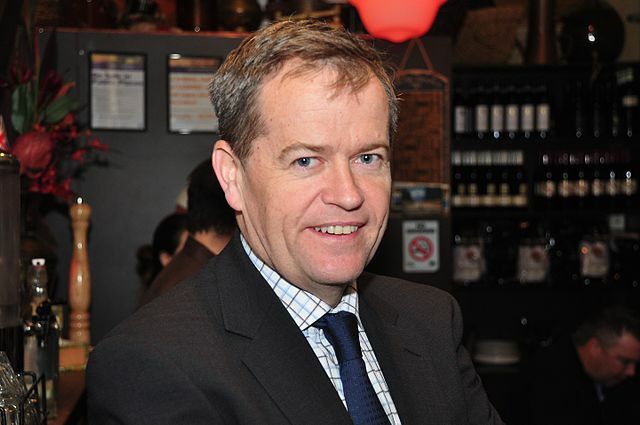 Yesterday, the Labor Party, led by Bill Shorten, announced their climate change policy. The question is what does it entail? How will it affect us? The Labor Party aim to have 50 percent renewable energy in Australia’s electricity mix by 2030. Labor’s goal is to reduce Australia’s pollution by 45 percent by 2030. Their long term aim is to have net zero pollution by 2050. The definition of net zero is every time a building or construction site uses energy, renewable energy is being created. Labor intends to invest $10 billion into the Clean Energy Finance Corporation. This investment will support Labor’s target of 50 percent renewable energy by 2030 and create 70,000 new jobs. If Labor wins the election they will implement their electric vehicle policy. Their target is to have 50 percent of all car sales in 2030 to be electric. Looks like petrol stations are a way of the past. What does this mean for big businesses? Big businesses have been given initiatives to reduce pollution. They will receive credits and make money for cutting pollution. People working in the steel and aluminium industries will be given tailored treatment. They will be expected to cut pollution but will be given exemptions to help them to stay competitive with international markets. Yet the agriculture sector has escaped any sharp penalties from Labor. The agriculture sector has not been given targets to aim for. The Labor Party said farmers are leading the way in cutting pollution. Labor think this is great but what do the other parties think? Prime Minister Scott Morrison wasn’t impressed. Speaking at a press conference yesterday Morrison said this policy will cost jobs and wages will be cut. “That’s what Labor are doing…they are going to legislate a reckless target that will hit wages, that will hit jobs, that will hit production,” he said. Well the Greens don’t even like it either. Greens Party leader Adam Brandt spoke in a press conference yesterday. He wasn’t impressed by one key part of the policy. “Fake action because Australian polluters will buy overseas permits from other countries but will keep polluting in Australia,” he said. Labor’s goal of having 50 percent of car sales to be electric by 2030 is looking unrealistic. According to the ABC only 0.2 percent of all car sales last year were battery. Will this policy actually happen? According the latest Newspoll Labor are expected to win the next election but will still need support of the Greens in the Senate. The Greens have major issues with this policy. There is a possibility that this policy will not happen. Bill Shorten by Peter Campbell available here and used under a Creative Commons Attribution. The image has not been modified.